Some occasional offerings are ongoing, others can be created when I become aware of people’s needs and interests. 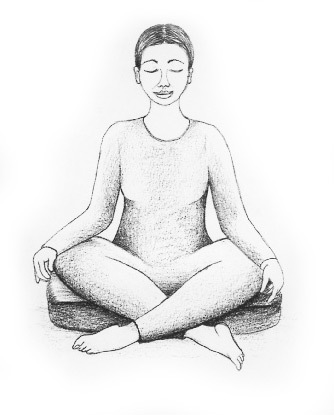 INDIVIDUAL SESSION – a stepping stone into regular classes, to deepen your yoga or to embrace particular healing. Pay for a 30 min/45min session or, if you have been a regular student for a few terms, talk to me about the possibility of a free half hour session. MID-TERM WORKSHOPS - an opportunity for current students to deepen your yoga along a certain theme - perhaps a focus on particular postures, breathing exercises or meditation and relaxation techniques. Usually on a Saturday or Sunday and always with extra time for deep nurturing, such as longer relaxations. MID-SUMMER CLASSES – a class or two is sometimes offered in January for current students to keep up their practice and perhaps experience an extended gentle focus. I can offer occasional yoga classes and courses to workplaces and schools and from time to time run retreats and men's workshops. The Gita solstice ceremonies have their roots in ancient Festivals of Light and give yoga students, teachers and their networks a positive communal focus on the light in its various forms. It’s an opportunity for people from all walks of life, cultures and religions (and no religion) to come together within a simple and uplifting ritual. Everyone takes what is most meaningful for them, from celebrating our physical sunlight to the spark of universal light within us – our essence or soul or spirit. Once it is dark, gently guided chanting and conscious breathing bring us to a quiet but light-hearted focus on the light, represented by one large central candle encircled by twelve smaller ones. The solstice is the time that the sun appears to stand still in the earth’s sky. It is when our hemisphere is either furthest away from the sun or closest to it. In our southern hemisphere the June or winter solstice brings the shortest day so we celebrate the coming of light into darkness and the qualities that enlightenment brings to humanity such as truth, wisdom, and peace. This is also the time that we Gita teachers rededicate our teaching to the light. On, or near, the longest day in December, the summer solstice, we reflect on the year and celebrate the light in all people; the light that brings us together regardless of religion, race or place. We end with an uplifting candle-lit meditation walk to the music of Pachelbel’s Canon. Visitors who have little or no background in yoga, or spirituality, feel at liberty to take with them only what is meaningful. They find the solstice ceremonies bring meaning and a genuine sense of togetherness and belonging back into the depth of winter or the heightened activity that comes with summer, the end of year, Christmas, Hanukkah and other festivals. Those of us who have some form of philosophical, esoteric, religious or spiritual framework find the ceremonies refresh and deepen our focus for our daily life and for our practices in the coming months, keeping us inspired, connected and evolving. Please feel welcome to join us for our mini Solstice celebrations in Taroona and if you wish to find out more please contact me. Workplaces and organisations from every field are discovering that offering different forms of yoga can boost staff, student or client wellbeing, physical fitness, productivity, team work, creativity, problem-solving, decision-making, time-management, communication, resilience and morale, and help prevent injury or repetitive strain. I have taught yoga to staff and to students in primary and secondary schools, TAFE and other colleges and university; to office and outdoor workers in city councils and public utilities; and to professional and support staff, clients and patients in GP clinics and health and community services/centres. Short Courses – 6-10 week courses of 30-60 min classes to introduce the fundamentals of yoga and support people to pursue further options in their own time or to seed ongoing workplace yoga. This can be in lunch breaks, before or after work or during work hours. Some workplaces offer the venue and one staff member’s time to liaise with the teacher, then participants pay a class fee. Occasionally employers pay for it all or, conversely, staff arrange and pay for it themselves. Taster Sessions – short one-off presentations to give an explanation and mini experience of yoga. These can be five minutes to an hour, as a brief interlude to a meeting, a professional development or similar forum or a professional learning session in themselves. Referrals/Advice – in the spirit of serving humanity, as part of the above or simply in a phone or email conversation, I am happy to explain and refer people to yoga options I am aware of. Monthly Drop-In Sessions – where the teacher sets up and ‘holds the space’ and whoever is available and interested pops in for a gentle self-paced yoga session that flexes around the needs of those present. Yoga On Neutral Ground - it is not always possible to offer yoga in the workplace, even though there might be significant interest and need. We can sometimes set up any of the above options in a community venue or yoga studio, drawing in a range of yoga teachers, if need be. Lynn's professional approach to yoga and progressive learning along with her passion and caring personality have been the reason we keep having her back. From time to time, I offer retreats for current students. In the past these have either been at NICHE (www.nichetas.com.au), the delightful southern Tasmanian retreat centre, on the peaceful Huon Inlet about an hour south of Hobart or in the north of the state in conjunction with fellow Gita teacher, Jen Hyland and her students from Penguin. Do men really do this sort of yoga? It’s true that more women do yoga and that men are in the minority in all of my classes. But it is also true that a number of my long-term students are men. Many of them are happy to come along to a workshop, from time to time, to do some yoga and talk about their experience of yoga and how men can benefit from it. If you would like a sample of yoga or someone in your life has been telling you to try it, this might be a good opportunity to test the water. Because I am absolutely convinced of yoga’s value in personal, social and universal healing, I am happy to refer people to other forms of yoga if my classes do not suit for any reason. Yoga has supported humanity for thousands of years (the Gita tradition traces yoga’s history back through India to ancient Egypt and beyond) so it’s not surprising that there is a plethora of different types of yoga. There is a form of yoga that is right for everybody, in my view – from the quietest, most gentle forms to the most energetic and physical. We have, in Hobart and beyond, a delightful network of yoga teachers, from many different traditions, and I am happy to give advice about anything I know to be on offer that might suit particular needs.